Daniel Ellsberg will speak on campus Monday, April 16 at noon in the Hoversten Chapel of Foss Center on campus. His talk is titled "U.S. Nuclear Terrorism and the Human Future." Ellsberg is the former American military analyst, who created a national uproar in 1971 when he released the "Pentagon Papers," the U. S. military's account of activities during the Vietnam War, to the New York Times. 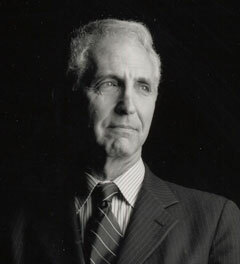 Ellsberg won the PEN Center USA Award for Creative Nonfiction, the American Book Award, and the Bay Area Book Reviewers Association Prize for Non-Fiction for his memoir "Secrets: A Memoir of Vietnam and the Pentagon Papers" (2002). Besides being an outspoken peace activist and well-known campus speaker, Ellsberg is a former U.S. Marine Corps officer, the winner of the 2006 Right Livelihood Award (the "Alternative Nobel Prize"), and director of the Truth-Telling Project. The event is free and open to the public. For more information, call 612-330-1665.